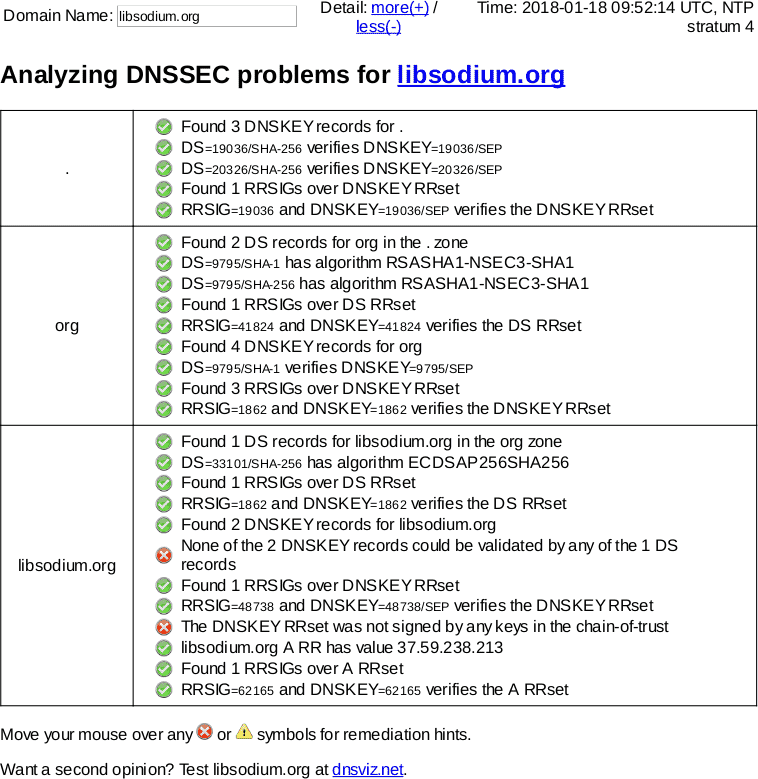 This page gives some details on the libsodium.org DNSSEC outage on January 18, 2018.
libsodium.org. 21599 IN NS free.ns.c9x.org. libsodium.org. 21599 IN NS recital.ns.c9x.org.